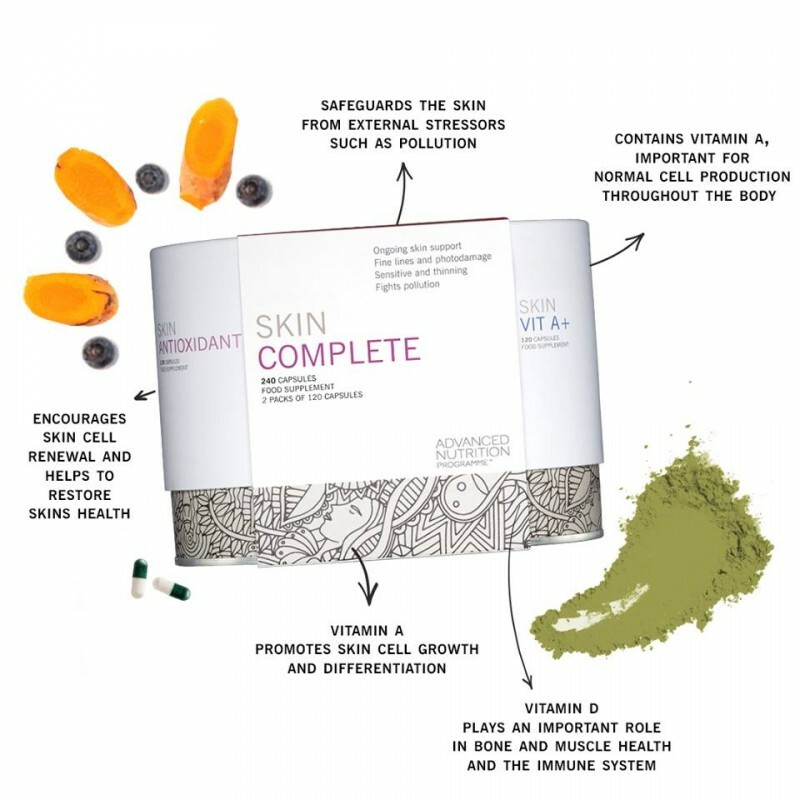 Lorraine Perretta, Head of Nutrition for the Advanced Nutrition Programme, discusses how you can incorporate skin supplements into your clients' skin care journeys. Q: How important is diet in regards to healthy skin for my clients? In the skin, collagen and elastin are made from protein amino acids, so protein foods (meat, fish, pulses, dairy products, nuts and seeds) are important for building new cells. Fats form part of the skin cell membrane. Good fats are found in nuts, seeds, avocados and olive oil. Carbohydrate foods are important for energy and supply every living cell with the energy it needs to be healthy. We only need small amounts of carbohydrates to contribute to healthy skin. Vitamins and minerals are essential because they perform many different functions. They protect our skin cells from free radicals caused by pollution and toxins, help the skin cells to reproduce, carry oxygen through the body and support the skin’s immune system. Water is an essential component of every skin cell. It helps to keep skin hydrated and also helps to remove toxins. 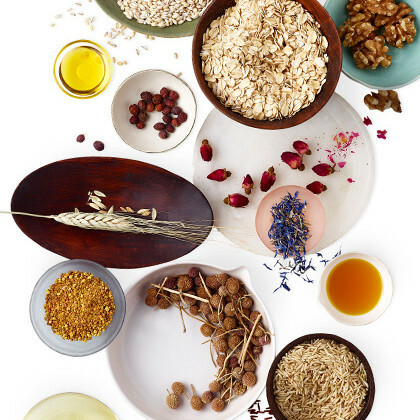 Q: What vitamins are crucial for beautiful and healthy skin? A: “Vitamins and nutrients are essential to maintaining healthy skin in many ways, with two key skin components, collagen and elastin, as well as the pigment melanin the most evident. “Collagen provides the internal structure for the skin. As we age, the body makes less collagen, and skin can become thinner as a result. Vitamins A and C encourage fibroblasts to make more collagen. Elastin is the protein in the skin that makes it more ‘elastic’. As we age, elastin gets less stretchy, often due to damage from free radicals caused by pollution, UV radiation, toxins etc. When this happens, skin takes on a more saggy appearance. The answer is vitamin A, which compacts the elastin to make skin more elastic, while adding antioxidants will help protect elastin and protect the skin from UV radiation. Without this protection, the UV radiation can stimulate melanocytes to produce more melanin, and this can result in uneven pigmentation, as well as brown age spots. Q: There’s been much talk around the value of supplements to the skin. What is your view? A: “In my view, skin vitamin supplements are the foundation to 21st century skin care. The purpose of taking skin supplements is to help the skin make healthy skin cells at the bottom of the epidermis. If your skin doesn’t get enough nutrients from a daily diet alone to make healthy skin, then when these cells move up through the epidermis, they can be flat, dry and lacking radiance. However, if cells are bathed in lots of nutrients and are ‘born’ healthy, then as they move up through the epidermis to the surface of the skin, they look healthier and more youthful. Using topical creams on healthy looking skin makes the skin look even better. “In 2006, the British Journal of Nutrition published a study which looked at oral vitamins compared to topical vitamin creams. They concluded that oral beauty vitamins are superior to topical creams in three ways. Firstly, vitamins are absorbed at source. 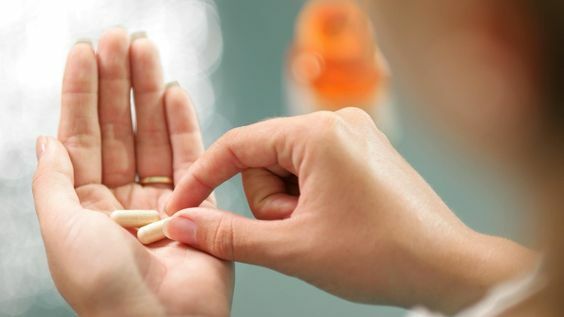 Secondly, ingestible vitamins reach the deepest layers of the skin, and thirdly, they nourish the skin all over the body, not just in the places where creams are applied. “As a result, clients who want the very best skin – firm, plump, clear and youthful-looking – should embrace a 360 degree philosophy to skin care. At the iiaa (International Institute for Anti-Ageing), which provides support and services to nearly 4,000 skin care professionals in the UK and Ireland, this is known as feed, fortify and finish. “Firstly, feed skin from within. It’s very difficult to get enough nutrients (vitamins, minerals and important fats) through diet alone. It is important to remember that the body will take nutrients from food to feed vital, primary body organs first: the heart, brain, kidneys and lungs. The skin is not a priority organ, so it will only get whatever nutrients are left. For example, the brain requires a lot of omega fats. If you only eat oily fish once or twice a week, then these key fats will most likely be used by the brain, so skin may become dry and flaky. Taking supplements is the only way to ensure you have all the nutrients in levels to feed the skin – it’s the first step within a comprehensive skin care regime. Q: Can I recommend supplements to target different concerns? For example, if my client is suffering from dry skin? A: “At the Advanced Nutrition Programme, we produce supplements designed to address specific skin conditions, such as dryness, pigmentation, problematic outbreaks, lines and wrinkles, and the range is intended to work alongside topical skin care. “Dry skin is a very common problem and can affect people at every age for different reasons. Diet, stress, lifestyle and menopause can all result in particular skin conditions. When looking at dry skin, the first instinctive reaction is to reach for a topical moisturiser, but we have found that optimum results need an 'inside out' approach. “Taking dry skin as the example, imagine the structure of the skin cell as a water balloon. Inside the balloon is water, and the rubber represents the skin cell membrane. Without enough fluid, the balloon is flat/dry. If the rubber of the balloon is weak and has lots of holes, then it cannot hold the water effectively and again results in a flat and wrinkled balloon. 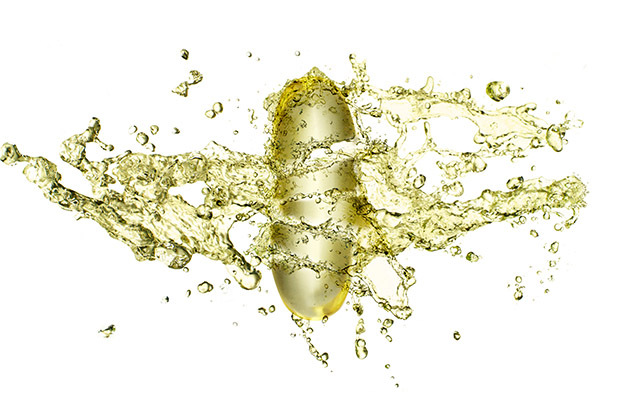 The skin cell membrane needs good omega fats to hold moisture inside the skin cell. These we get from foods such as oily fish, nuts, seeds and olive oil.